You are here: Home / Sustainable Living / ButcherBox Update: Save $11 + Free Filet Mignon! Every month I do an unboxing and an update of my ButcherBox order. 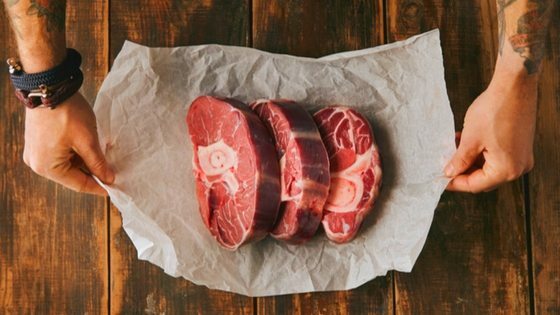 If you’ve never heard of ButcherBox, it’s a subscription box that with organic, grass-fed beef, pork, and chicken. The animals are humanely and sustainably raised. It’s become extremely popular with homesteaders who can’t necessarily raise their own livestock (cattle for instance) but still want access to sustainable, organic food. Here’s this month’s ButcherBox! The company has been super generous this month, and until October 31, you can save $11 and get free filet mignon when you use this link here: Get Your Own ButcherBox! ButcherBox unboxing! Join with my link & get free Filet Mignon & $11 off using this link -> http://bit.ly/2harnaf (If you use that link, you'll get free Filet Mignon and $11 off AND you'll be supporting this page. Thank you! )ETA: We figured out why the link wasn't working & fixed it! The only kind of beef I buy is grass fed. I would love to try butcher block, but I don’t eat pork . . I love it, but stopped eating it almost a year ago. I succumbed one day and had some ham and eggs. It was delicious, but before I could finish I felt sick. Not sick of the stomach . . just sick, yucky. So no more. Do they have any package without pork in them. Hi Bettie – YES! My box only has beef in it. Doesn’t seem like enough for a family of 6. Is it adjustable? If it is mailed does the box need to be sent back? PS. Didn’t finish your video – had an appointment. – so not sure if these questions were answered already. Thanks Diane, I’m glad you like it! You can order a bigger box to accommodate your family’s needs. You don’t have to send the box back. My cats get the box every month to sit and hide in, LOL.